I love using zest when I cook and bake. Zest is the outer rind layer of a citrus fruit. It gives any dish you add it to a stronger flavor and smell due to the oils in the rind. 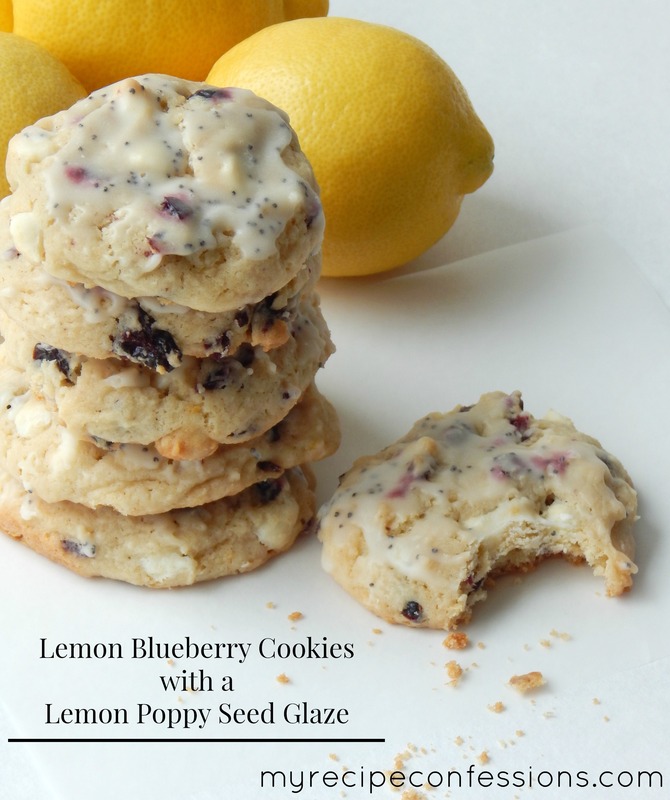 Since posting my Lemon Blueberry cookies with Lemon Poppy Seed glaze cookie recipe, I have had a few people ask me what is the best tool to zest a lemon. I use a citrus zester. I love this little tool! I think that it is a lot faster than the zest grater that you can buy at the store. 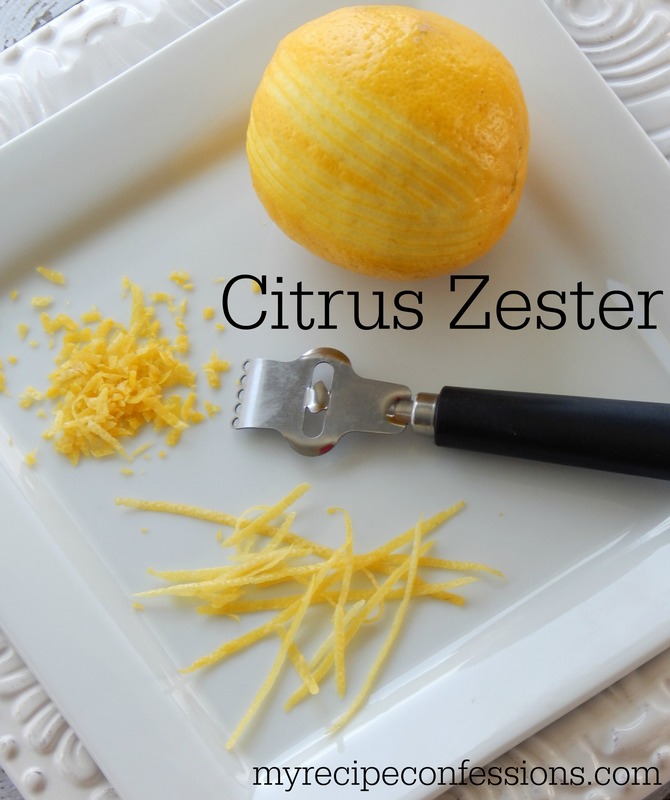 The citrus zester is so easy to use. You simply hold the lemon/orange in one hand and with the other hand apply pressure to the zester and pull the zester down the side of the lemon/orange. Continue this process all the way around the fruit. Make sure not to get any of the pith. Pith is the white spongy layer under the zest. The pith is very bitter! Then with a sharp knife, I chop up the zest into smaller pieces. I generally get around 1 to 1 1/2 tablespoons of zest from one lemon. You can find a citrus zester at most stores in the kitchen section. They can also be purchased online at amazon.com. They run between five to ten dollars. Good to know! My hand was so tired from trying to grate it? 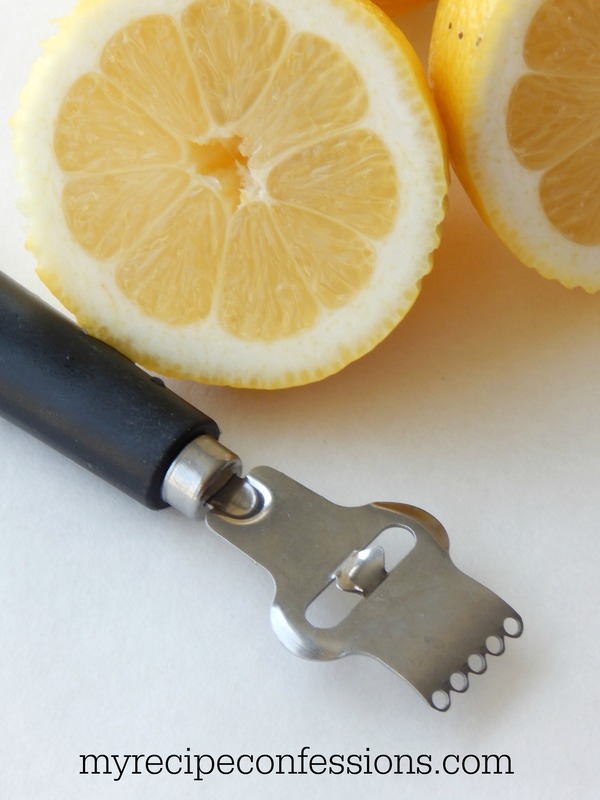 The citrus zester will be a lot easier on your hands, I promise!